The Auberge des Pêcheurs Inn offers 6 modern rooms with queen-size beds and ensuite baths (either a 3-piece bath with shower or a 4-piece bath), satellite TV and free Wi-Fi. A complimentary continental breakfast is included. 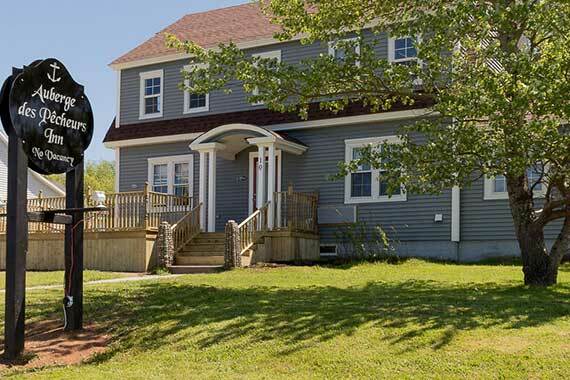 The rooms have picturesque views of Chéticamp Island or the Cape Breton Highlands. The inn is within walking distance of local attractions, restaurants, retailers and the farmers’ market. Cancellation policy: 48 hours notice of cancellation is required.